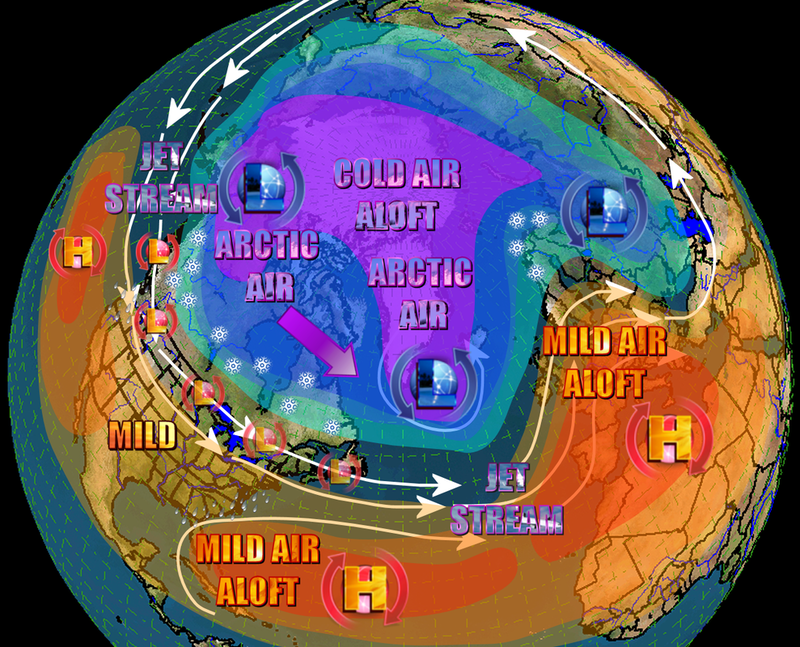 The main focus on this article is not to make a winter forecast, but to explore what effects El Nino's and teleconnections have on winter weather across the southeast. One of the main sources of data in this report comes from a weather friend of mine that I call "Brother Larry". Larry would prefer to remain anonymous, so from here on out you'll hear me refer to Larry as "Brother Larry". :-) Larry has a wealth of information about the weather history in Georgia, and I'll be using a lot of his findings to help give you an idea how this winter may turn out, based on the environment created by the El Nino, as well as several other factors. Again, this data is based on analog years, or those years that most closely identify with the current patterns, so keep that in mind. Analog's are not perfect, but they do give us a very good idea about how things have happened in the past and how they may happen again in the future. This data was compiled by taking a list of 26 “cold” US winters (Dec/Jan/Feb) since 1894 -1895 (i.e., the coldest 23%) for the eastern third of the US. 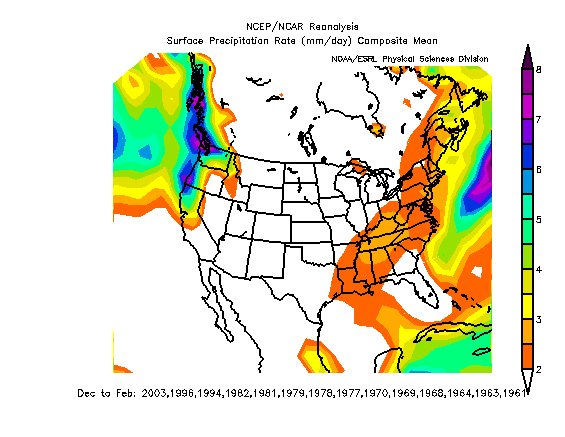 This requires solid, widespread, below normal anomalies, and requires the southeast to be pretty chilly itself. The two maps to the right were created with data from the list of years below, but that dataset only goes back to 1948, so the maps I'm displaying are not 100% complete with the years in the list. Here's the list of those winters, and you can see the years I used on the maps themselves. Also, Larry's 26 coldest winters study was done the better part of 10 years back, since then, it is possible that some of 09, 10, 13, 14, etc. could be added, although he is not reassessing those now. Notice that out of all the cold years, the majority of them occurred during weak Nino's (35%). 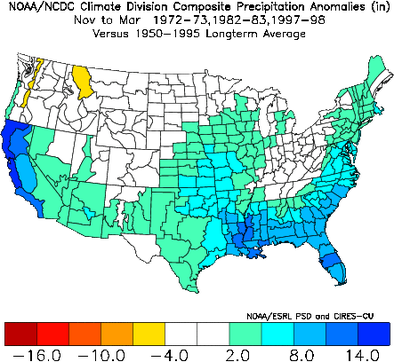 Also notice that out of all of those cold winters, none of them occurred with a strong Nino or a strong Nina. 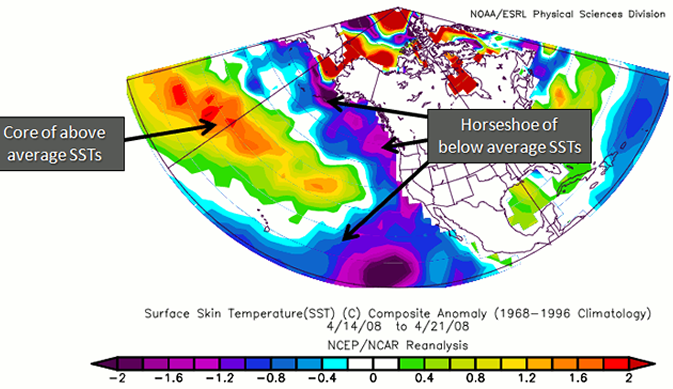 The map on the left depicts the temperature anomalies that occurred during a Weak Nino. Due to the data only going back to 1948, all of the years are not depicted, but this will give you a good idea. "The Pacific Decadal Oscillation (PDO) is often described as a long-lived El Niño-like pattern of Pacific climate variability (Zhang et al. 1997). 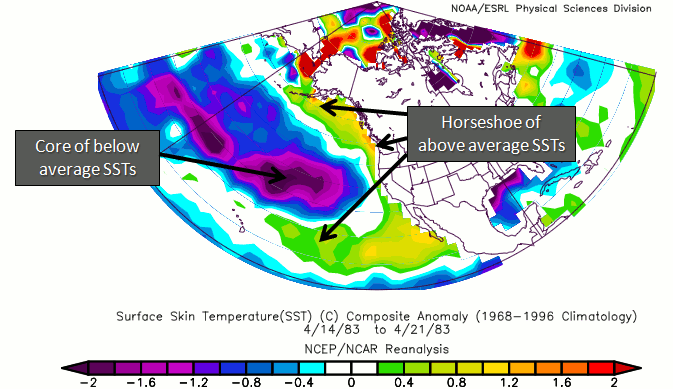 As seen with the better-known El Niño/Southern Oscillation (ENSO), extremes in the PDO pattern are marked by widespread variations in the Pacific Basin and the North American climate. In parallel with the ENSO phenomenon, the extreme phases of the PDO have been classified as being either warm or cool, as defined by ocean temperature anomalies in the northeast and tropical Pacific Ocean. When SSTs are anomalously cool in the interior North Pacific and warm along the Pacific Coast, and when sea level pressures are below average over the North Pacific, the PDO has a positive value. When the climate anomaly patterns are reversed, with warm SST anomalies in the interior and cool SST anomalies along the North American coast, or above average sea level pressures over the North Pacific, the PDO has a negative value (Courtesy of Mantua, 1999). " "The North Atlantic Oscillation (NAO) is a climatic phenomenon in the North Atlantic Ocean of fluctuations in the difference of atmospheric pressure at sea level between the Icelandic low and the Azores high. Through fluctuations in the strength of the Icelandic low and the Azores high, it controls the strength and direction of westerly winds and storm tracks across the North Atlantic. It is part of the Arctic Oscillation, and varies over time with no particular periodicity." Strong positive phases of the NAO tend to be associated with above-average temperatures in the eastern United States and across northern Europe and below-average temperatures in Greenland and oftentimes across southern Europe and the Middle East. They are also associated with above-average precipitation over northern Europe and Scandinavia in winter, and below-average precipitation over southern and central Europe. Opposite patterns of temperature and precipitation anomalies are typically observed during strong negative phases of the NAO. For us, negative is what we're looking for in the winter. Things start to change a little. Obviously, the combination of +PDO and -NAO are the best combination, and that makes perfect sense. 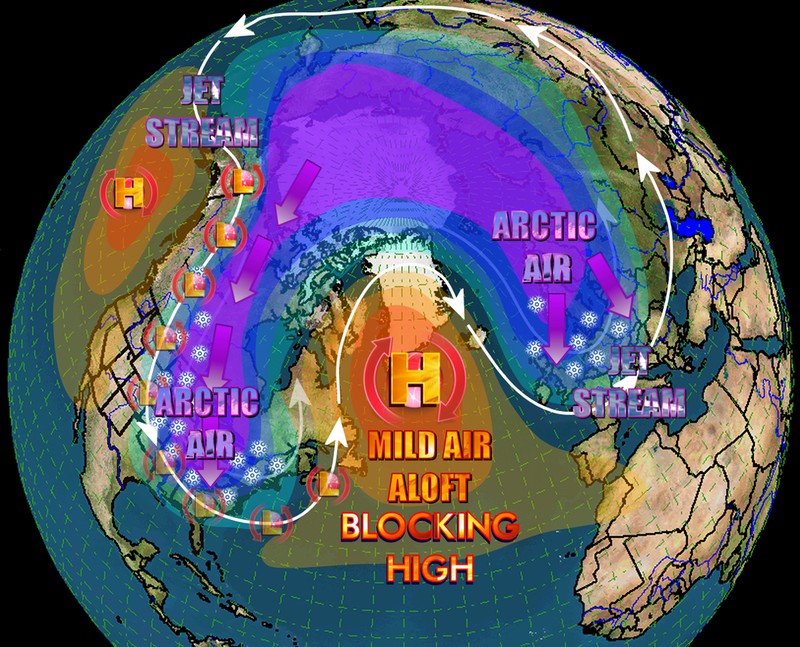 During the positive phase of the PDO, the wintertime Aleutian low is deepened and shifted southward, warm/humid air is advected along the North American west coast and temperatures are higher than usual from the Pacific Northwest to Alaska but below normal in Mexico and the southeastern United States. Add the effects of the blocking provided by the NAO and you lock in the cold air instead of having it rush out to sea. Now, let's really lay it out. Weak Nino’s give the highest percentage chance for cold of any of the ENSO states by far (with weak Nina’s second); however, a combo of -PDO/+NAO seems to make it difficult even for weak Nino’s. A very impressive 13 of 16 (81%) of the aggregate of weak Nino's and weak Nina's with -NAO were cold. Don't ever bet on cold with either a strong Nino or a strong Nina since none of the 23 were cold. +PDO about doubles the percent chance for cold versus a -PDO. A -NAO more than doubles the percentage chance for cold versus a +NAO and a somewhat higher chance than a +PDO gives. So, I give small edge to –NAO over a +PDO regarding cold prospects. Regardless, both are very important. A +PDO/-NAO combo gives close to twice the percentage chance for cold versus the percentage chance for all PDO/NAO combos in the aggregate. A -PDO/-NAO is the next best combo for cold prospects, but mainly if NAO is more negative than PDO. 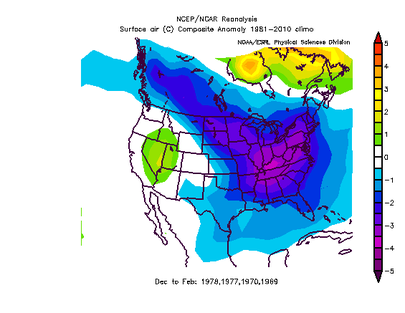 Don't ever bet on cold with a combination of -PDO/+NAO, since only 1 out of 34 were cold. If there is a +PDO, the chances for a –NAO appear to be high for only weak to moderate Nino’s. The chances appear to only be about 50-50 for strong Nino’s. For neutral ENSO, the chances seem to be surprisingly low (partial negative correlation suggested). The best shot at a +PDO/-NAO combo appears to be with a weak to moderate Nino's. 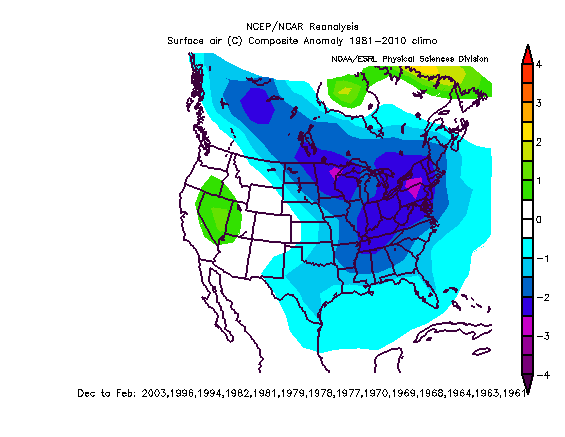 On the other hand, only 3 of 34 (9%) Nina’s had a +PDO/-NAO. A pretty high 17 of 34 (50%) Nina’s had a –PDO/+NAO. A +PDO is difficult with a moderate to strong Nina. Only one out of 16 (6%) had one. A –PDO seems rather difficult with a strong Nino, only 2 out of 15 (13%) had one. +PDO and –PDO winters are about evenly split. But +NAO winters have been a bit more common than -NAO in long term: 58% vs. 42%. A winter-like synoptic setup next weekend with departing Canadian high and coastal storm. Impressive gradient + cold air damming potential. As for the long range storm(s) and modeling...they're going to keep moving around the 2ndary MIDATL->NEAST portion of events. Split flow is a bear for guidance to resolve. Southern low obviously comes along though. A daily summary of social media discussions about the weather. Click on the link in the Tweet below. 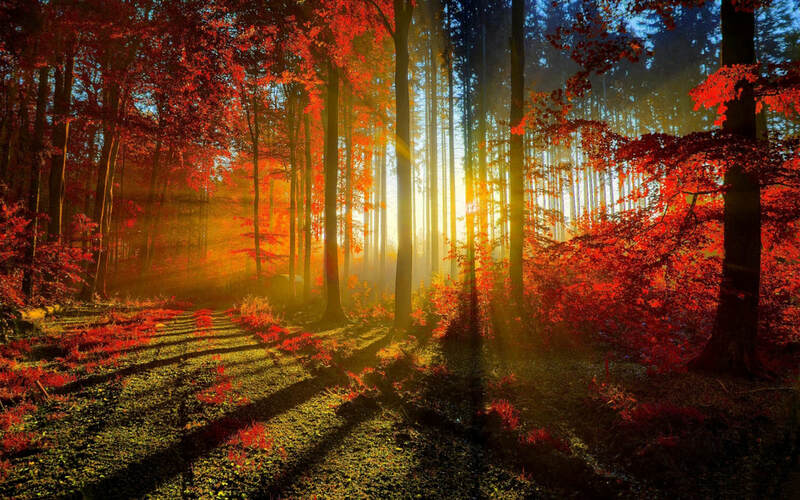 Awesome fall images. Still watching this threat. Possible that one of the EPAC tropical systems remnants moves NE across Mexico into Gulf and this serves as part of the complex pattern by late October/early Nov, perhaps hybrid/subtropical storm? Plenty to watch in the coming days. We are off to a snowy start across northern WI. An inch or two is already on the ground! If traveling, be sure to take it SLOW in ICE and SNOW! 'tis the season! 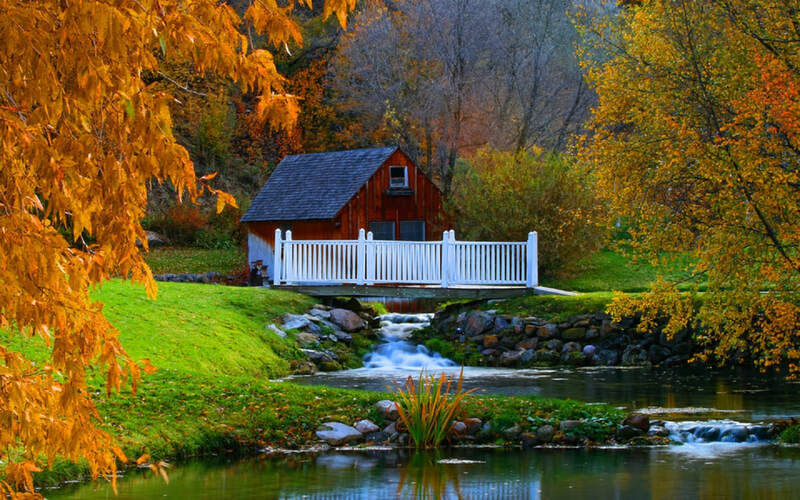 :-) Some areas are going from fall to winter already! Need to watch the period from next weekend through 11/3 or so for potentially multiple storms systems to affect the SE/Eastern US. Possible a tropical wave in the Gulf gets entrained too. Way too complicated to pin down details, but 1 or more noreasters/coastal lows possible. Been watching this pattern for a while -- tropical-infused winter storm potential for late October in eastern NA. Still a lot of uncertainty, but absolutely an interesting pattern to monitor.